A unique project for all papercrafters! "Let Mez Show You How"
Schedule your very own event to get start this project! Event Calendar available at Mez's online Shop! 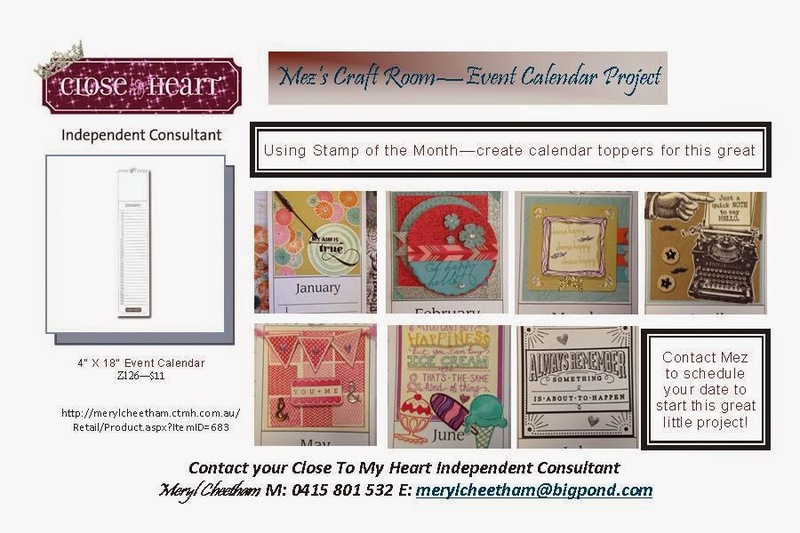 Purchase the Calendar $11 - and each Stamp of the Month by contact Mez - then Create your Event Calendar topper at one of my events! 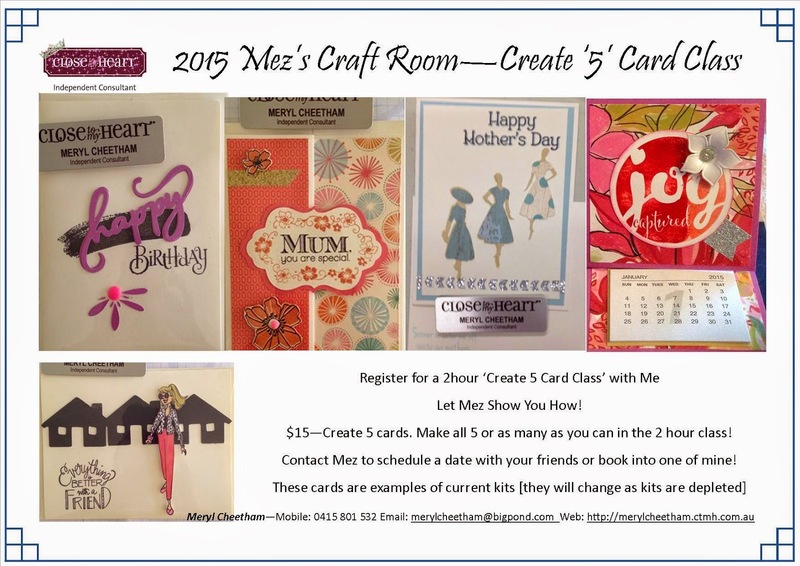 or attend one of my "Create '5' Card Class"
[The cards pictured are currently the packs available!